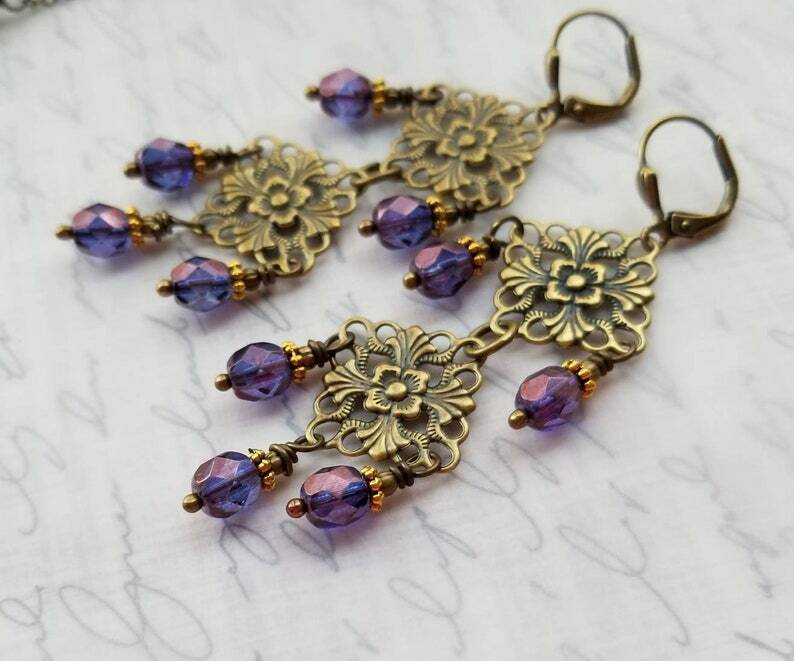 https://www.etsy.com/listing/678953380/long-golden-topaz-antiqued-gold-earrings? I also have in antiqued silver and in olivine green. Like necklace in last few images? Ask me!! ***Thank you for visiting my shop! Please don't hesitate to msg me with any questions. They're very cute and go so well with the flower trend right now. Fast shipping.